The town of Millau dates back over three thousand years. And yet look again at that photograph above. 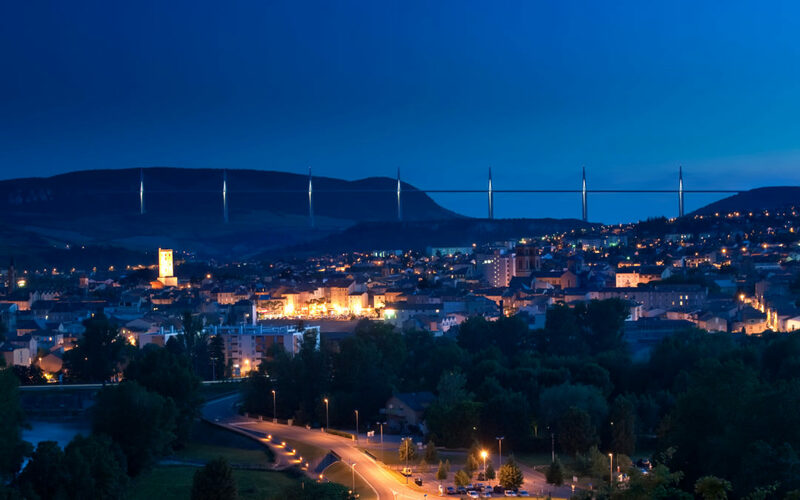 The silver structure you see towering over this tiny town is the Millau Viaduct that majestically spans the valley. It is part of the autoroute system from Paris – yes, it is a public road. By the 1980s, traffic was becoming a problem in the area, mostly due to tourists and travellers. People travelling from France to Spain used this route and as you can see from the map, it is also en route to popular South of France resorts. Taller than the Eifell Tower and almost as tall as the Empire State Buildinf, this bridge was opened to the public in 2004.